Findings from the landmark NIDDK-funded study, Diabetes Control and Complications Trial (DCCT), and its follow-up, the Epidemiology of Diabetes Interventions and Complications (EDIC), continue to provide new insights that may change care for people with type 1 diabetes. Recent DCCT/EDIC research suggests that adjusting the frequency of eye screenings for people with type 1 diabetes based on their risk of severe eye problems, rather than on the automatic, annual schedule that is currently recommended, would result in fewer eye exams at lower cost. This adjustment could also result in quicker diagnosis and treatment of severe retinopathy, which can lead to vision loss. This research, an analysis of 24,000 eye exams collected over 30 years among the participants of the DCCT/EDIC trials, was published in The New England Journal of Medicine. 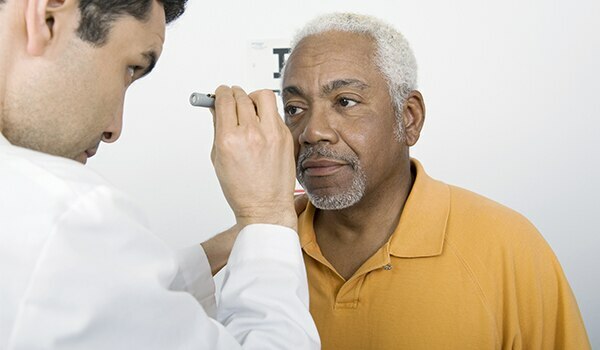 The researchers recommend that people with higher current average blood glucose levels (for example, 8 to 10 percent versus 6 percent) have eye exams more often than the schedule above, as they are at higher risk for developing retinopathy. Based on analysis of the type 1 diabetic cohort in the DCCT/EDIC, adjusting the frequency of eye screenings for people with type 1 diabetes according to their risk of retinopathy and A1C levels is predicted to result in fewer eye exams by 50 percent – lowering the overall cost of care by 1 billion dollars over 20 years. The DCCT/EDIC researchers developed an algorithm to indicate frequency of eye exams depending on risk. Researchers say further studies are needed to learn if the proposed screening strategy applies to type 2 diabetes. This study contributes to a growing body of knowledge bolstering the value of an individualized approach to diabetes care. Further discussion among the medical community is needed to determine changes, if any, to current recommendations in people with type 1 diabetes. How do you think a more individualized screening approach might affect your patients and your practice?